Online access gives you even more options! FPsurvey is also available as a searchable online database. Monthly updates allow you to access the most current data and focus your research with broad or specific search queries. Search our 38,000+ executives and instantly download lists for mailing or further research. This is an indispensable tool for all your marketing or research needs! Try out a FREE 30-DAY ONLINE TRIAL! Don't Want to Wait? 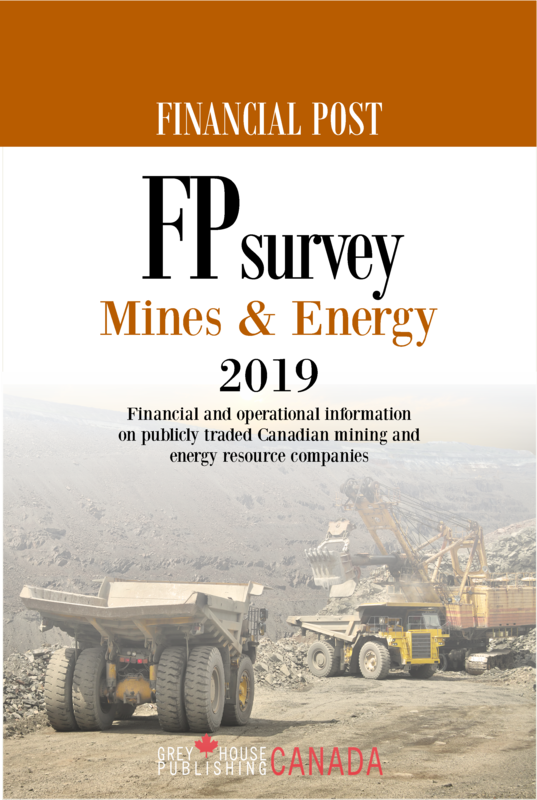 You Can Still Order the 2018 Edition of FPsurvey: Mines & Energy Here. Mines & Energy provides access to detailed financial and operational information on publicly traded Canadian mining and energy resource companies. This title provides investment details on companies involved in industrial minerals, oil and gas, electricity generation, and more. It continues to address the very real need of the private and corporate investor for a comprehensive securities manual. This financial overview provides critical information on investment opportunities, including: companies’ key assets and operations; management and ownership; financial position; and highlights of events affecting the companies over the past year. Additional features in this book and its companion publication, FPsurvey: Industrials, include The Year in Review, which provides a tabular summary of rights offerings and name changes, and a Top Ten by Industry section containing key financial ratios for top companies in the twenty-two Global Industry Classification Standard (GICS) Industry Groups. FPsurveys is also available as a searchable online database. Monthly updates allow you to access the most current data and focus your research with broad or specific search queries. Search our 38,000+ executives and instantly download lists for mailing or further research. This is an indispensable tool for all your marketing or research needs! 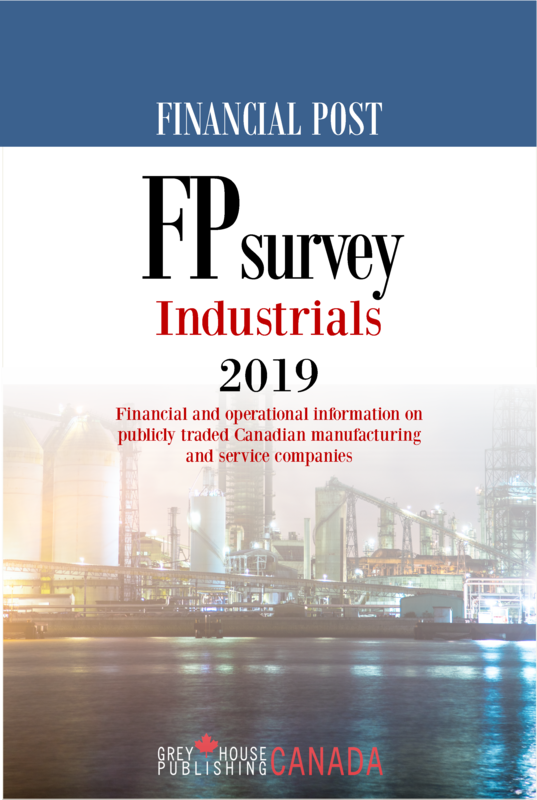 FPsurveys: Industrials contains investment information on more than 3,000 manufacturing and service companies in Canada. 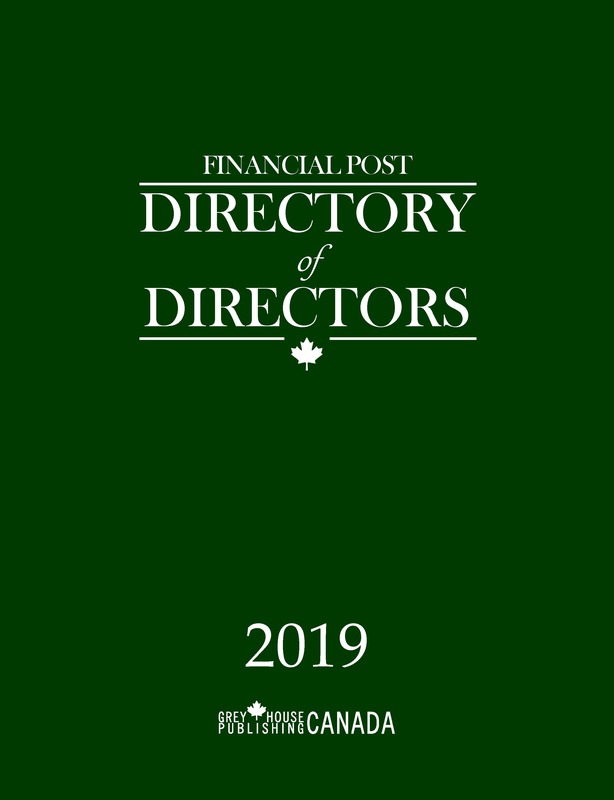 Since 1931, the Financial Post Directory of Directors has been recognizing leading Canadian companies and their execs. Today, this title is one of the most comprehensive resources for hard-to-find Canadian business information, allowing readers to access roughly 16,500 executive contracts from Canada's top 1,500 corporations. This prestigious title offers a definitive list of directorships and offices held by noteworthy Canadian business people. It also provides details on leading Canadian companies-publicly traded and privately-owned, including company name, contact information and the names of their executive officers and directors. Financial Services Canada is the only master file of current contacts and information that serves the needs of the entire financial services industry in Canada. 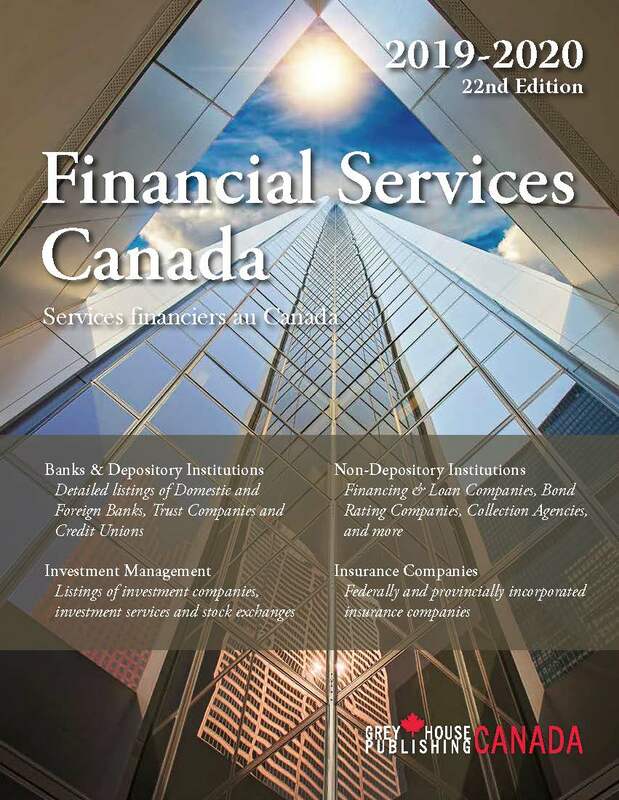 With over 31,000 financial-related executives and hard-to-find business information, Financial Services Canada is the most up-to-date source for names and contact numbers of industry professionals, senior executives, portfolio managers, financial advisors, agency bureaucrats and elected representatives.